If you have read any of my trail reports, you may have noticed that I always include a link to a website called WikiLoc. 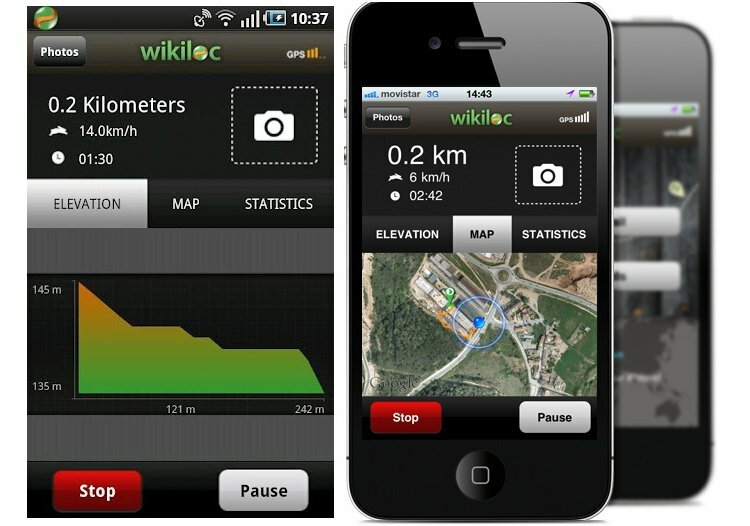 WikiLoc is an outdoor navigation app that allows you to not only track your own hikes, or any outdoor activity for that matter, but also download other users hikes for your own use. 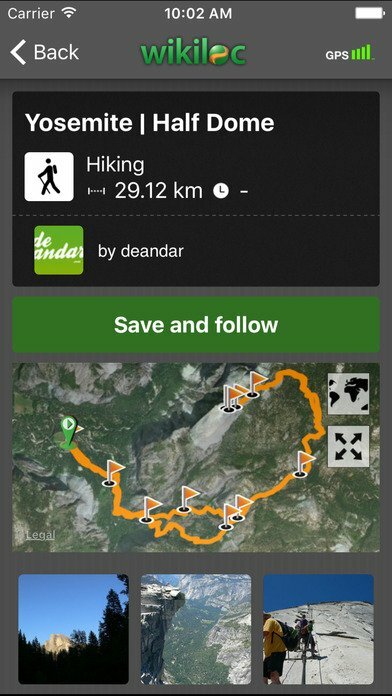 You can access the hikes either through the website itself or you via the app which is compatible with all Android and Apple devices. And this isn’t just Australian based activities; this is worldwide too. All activities are categorised by the type of activity and the mode of difficulty as judged by the user. By creating a free account, you can upload all your walks and each one will include a map with a trail of where you have been. You can also include a description, a series of photos and various ‘points of interests’ that may be worth stopping by. There is also a paid subscription that gives you full access to the Navigation pack and a variety of other features. The fee is $3.99 AUD for a yearly subscription which is great value for what you get. 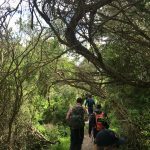 Finding your walks within your own profile is very easy, and even easier when you are looking for new trails. You simply click on the Navigation section in your app, and either select Nearest or type in a particular place to search the hikes near that area. You can then filter it by Activity, Distance, Elevation Gain and Difficulty. Press ‘Apply Filter’ and all the hikes matching that description will pop up. Once you have downloaded a track and start following it, if you stray from the path an audible alarm will sound. Further, with the app, once you have uploaded a hike, if anyone has uploaded a nearby hike they will get an email notification on their phone that there is a hike near one of theirs that they may be interested in. It’s very much a community-based platform where you can share new activities and find new ones for yourself. 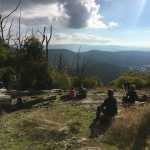 I was originally using MapMyHike to track all my hikes. And while for the most part it’s a good app, I found its GPS wasn’t so good. Case in point, I wasn’t able to track my first overnight hike in Warburton as the GPS cut fairly quickly as I got deeper into the forest. 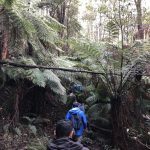 Fast forward to 2016, I lead the very first MeetUp hike from Starlings Gap in Warburton and was able to track the hike without any GPS issues. 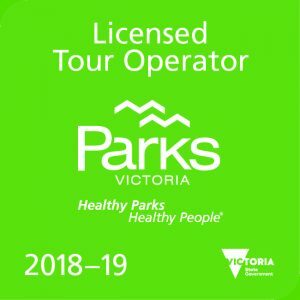 So, do yourself a favour and create an account here, download the app and use it the next time you’re in the outdoors. You can view all my recorded tracks and trails here on the WikiLoc website. I’ve come to despise the app. It offers ZERO privacy, automatically uploads your activity and as such is heavily polluted with random garbage from people simply switching on the GPS or driving to the shops etc. Once on and trying to follow a track it insists on recording you and uploading, and won’t allow you to stop until you have net reception, which often isn’t until you get home. The result is a lot of stupd “trails” with long lines to people’s front doors. An absolute disgrace of an app. Hi Alan, sorry to hear that you’ve had such a bad experience with the app. As mentioned in the article, I’ve found it to be quite useful for what I require. To clarify, are you saying that when recording a trail you are doing, it doesn’t allow you to save and upload it to your profile manually? Or when you are back in reception? If so, I’ve yet to come across this issue.